The goal is to be top-of-mind. We can think of few better places to be in the forefront of your customers' line of sight than in their vehicle! 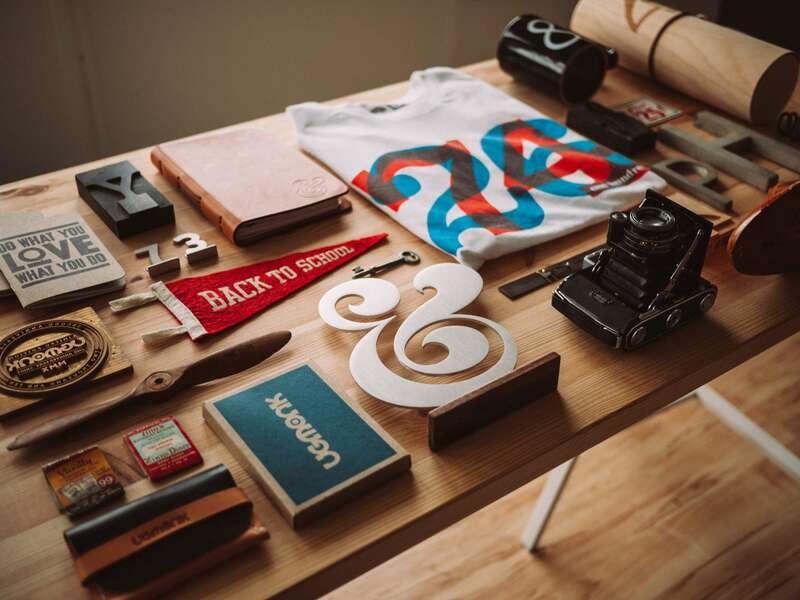 We've compiled a list of 10 unique and highly customizable promotional products that will put your brand in the hands of (or at least within arm's reach!) of your prospects, customers and employees at all times. The Sticky Pro is a thin, attractive surface that clings to your dashboard, preventing devices, glasses, key chains and more from slipping and sliding on the floor. With unique Griptyte™ Gel and full-color graphics, the Sticky Pro is excellent for direct mail marketing campaigns, connecting with trade show attendees or giving to your prospects as a memorable, branded leave-behind. The Keyboard DOT is an emerging trend for big brands to stay top-of-mind. Pass them out at a trade show to catch the attention of your prospects, distribute them to employees to give them something fun and new to spice up their keyboard, or add them to a customer kit to showcase your brand's cutting edge personality. They're not just for keyboards. They also function as a custom identifier for personal devices and other items! The KANGA Wallet is a classy spin on the traditional folding phone wallet. Incorporating brown, faux leather and black carbon fiber into the design, it projects a premium feel that doesn't eat up your marketing budget. This particular wallet can also hold up to 7 cards and some emergency cash in a separate, hidden compartment. Our favorite part is the 3M adhesive that creates a secure, but non-sticky attachment to your device. Add a little color and stay front-and-center by branding the SipGrip To Go Car Coaster. With a custom-branded fabric top and a recycled non-skid rubber base that keeps it in place, this coaster fits nicely in almost any vehicle's cup holder. With its antimicrobial properties, it also protects the product from developing odors or stains, while also keeping cup holders dry and sanitary. The custom-branded MicroBuff™ is a reusable microfiber cleaning cloth that's unlike the flimsy, loose ones that always go missing. This design includes a tacky back that adheres to your customer's favorite devices! Investing in a useful and rather unique marketing tool like this will help with your brand's awareness, making tons of impressions with other like-minded people. This is the most scent-sational air freshener. Why? Not only does it come in 8 different scents; it comes fully custom with full-color Fireglaze™ imprint display your brand where it can be viewed daily by your prospects or clients. 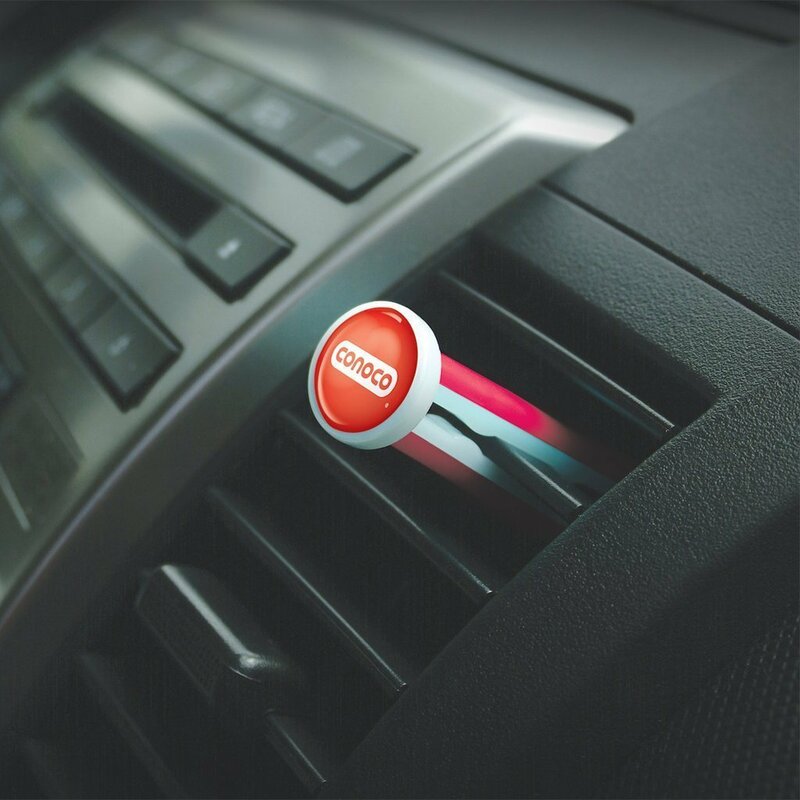 The Hot Rod slides gently inside your car’s air conditioning vent while the A/C system circulates fresh scents from the stick. The Gadget Grip® is one of the newest models for helping your valued customers stay hands-free while driving. It's designed with an extremely strong neodymium magnet that is also safe for your phone. The grip is the best part though—a custom, full-color design with your brand's logo. Using safe, non-sticky 3M adhesive, the design will stay secure and prevent the device from slipping. This is an excellent option for trade shows or for employees. When we saw this, we thought you just had to know about it! The Road Trip® is a universal charging station that fits in the cup holder of your client's car, complete with your brand's logo and message. It is designed with built-in USB ports, which allows for up to three electronic devices to be charged at once. There is also an additional storage slot for items such as pens and pocket change. Private Eyes™ is a privacy lens cover for the webcam on a computer or laptop that includes a prominent space for your brand's logo. The sleek modern design will protect users from potential on-lookers while reminding them of the caring partner or vendor who was thinking of their safety. This is an emerging trend that fits almost everyone's needs, especially for those who own multiple devices. The custom logo SpinSocket™ is a fidget spinner, stand, and tether that uses 3M adhesive to stick to the back of any cell phone. This addictive product allows your customers to prop up their phone to watch videos on any flat surface. It also provides a secure grip while taking those much-needed selfies. Last but not least, it’s the most addictive fidget spinner ever! There's more where this came from! Visit Flywheel's online eStore to see more trendy promotional products you'll want to consider this year!